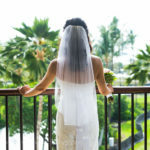 Ben and Jamie were married at the Mauna Lani Bay Hotel on the Big Island of Hawaii. I had the pleasure of being able to do some casual portraits of the couple the day before the wedding, which makes for even better photos on the wedding day. 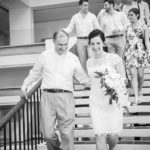 The wedding was held on the beach and the couple married under an arch lined with flowers.